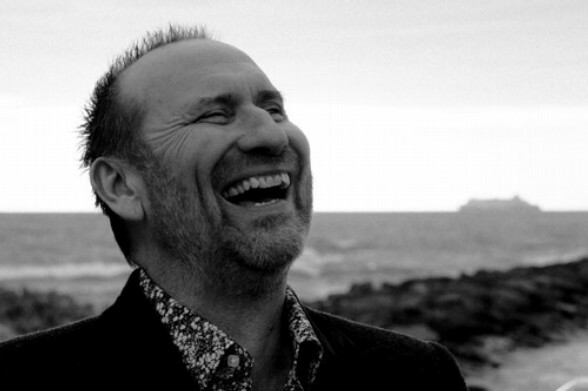 Colin Hay has come a long way since co-forming and providing lead vocals for the men down under Men at Work in the 1980s. But you know what they say (okay, I don’t think anyone says this), a good vocalist is always appreciated in the music community. That is not so much an aphorism, but rather a fact that I hope to be true. For Hay, it is very true. I was hooked. I did have in mind far loftier goals for a post today, but I have been quite busy. This, though, will certainly do. While I have not published a Lyric of the Day in what seems like forever, I think that some lines from “Waiting for My Real Life to Begin,” one of my favorite songs by Hay, would be appreciated by the masses. I am going to see Colin Hay at Town Hall in NYC in April, by the way, and I am PSYCHED! This song was in “Scrubs” in case you were going, “where have I heard this song before.” My favorite lyrical part of this song is the beginning. Just listen to the song and let the waves crash down on you. The song touches on a hint of a grand existential wait. It does seem that our protagonist will forever be by the shore waiting for his ship to come in, but, perhaps there is some peace in this situation – some beauty in the monotony. Or, perhaps, I have been reading too much Camus. Any which way, please enjoy this song! On the Ipod as i type. great tune. Forgot about Men At Work. His voice always stood out for me. I’m really looking forward to hearing him perform live. His voice is just that, distinctive, and I love his range.